My sister-in-law calls me a "life documenter." I've always enjoyed making scrapbooks and taking pictures, and of course my latest discovery of putting together home video collages, which I think are so much fun. Lately I've been feeling the desire to work on a couple of "life documenting" projects and wanted to share them with you! I really don't think doing stuff like this has to be as overwhelming as it might seem at first. 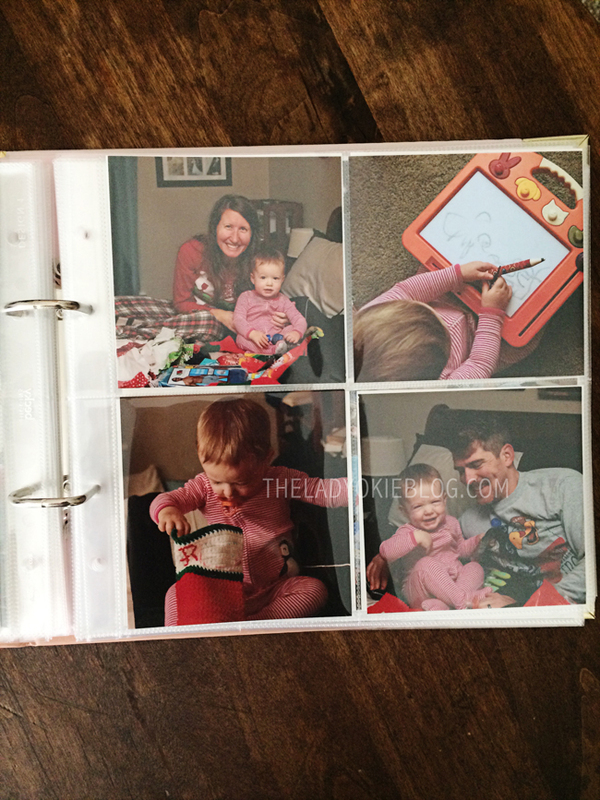 The beauty of something like scrapbooking is that you can make it as complicated or as simple as you want! And no one can make anything like what you make, so each one turns out totally unique to you. I made a pregnancy journal with R, and I've loved being able to compare weeks with this baby. I knew that I wanted to make another journal this time, but I wasn't sure what form it would take. I have been writing weekly updates and taking weekly bump pictures, but until recently I haven't been able to find the perfect book to keep it all together. I took R with me to Hobby Lobby one day after work, and back in the scrapbooking section I found this little booklet! I used the 40% off coupon, so it was I think less than $5. I put a picture of Baby Bum's first ultrasound in the front and used stickers to put the number of weeks at the top of each of the pages. I am working on transferring over all of my notes! 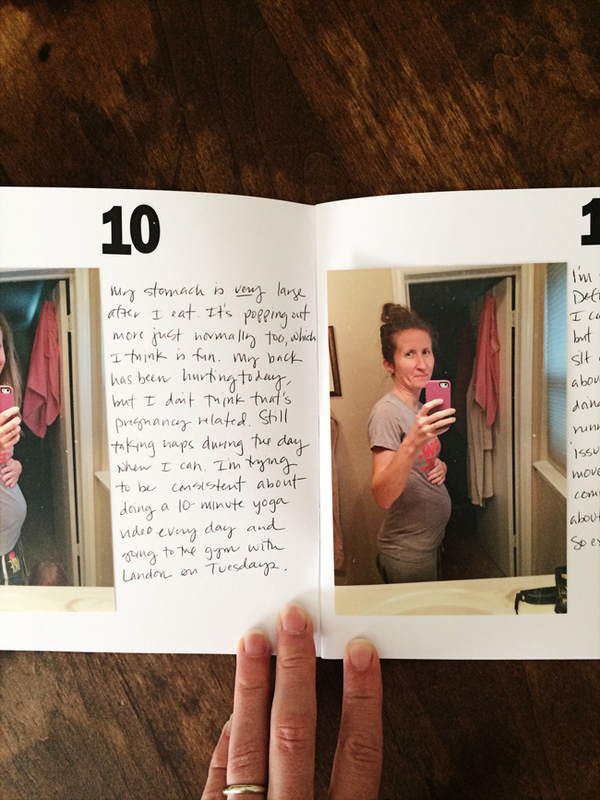 Since there are only 30 pages in the book and 40 weeks of pregnancy, I am combining a few of the weeks where I didn't have much to report. I'm so happy with how it's turning out! I kind of wish I had just gotten one of those fill-in-the-blank books for R, but for whatever reason I liked the idea of having a blank book and making it my own. This is a Creative Memories book with blank pages, and I am adding things as I think of them. It's not extremely detailed, but I plan on using this as a scrapbook just for her and adding pages as she grows. There are a couple of pages of her first birthday, plus the "guest book" page where I had everyone who attended her first birthday party sign a page with her handprint on it. I saved some of her art projects from daycare and a few other things. I hadn't worked on it in a while, but recently I added a couple of pages, so it's coming along. I'm referring to my blog a lot to fill in some of the stats and monthly updates, which has been really handy! Some of you veterans of this blog might remember that in 2015 I made a Project Life album. (You can see all those pages here.) I loved the process and love how my book turned out, but I found it to be too time consuming to keep up with once the year ended. 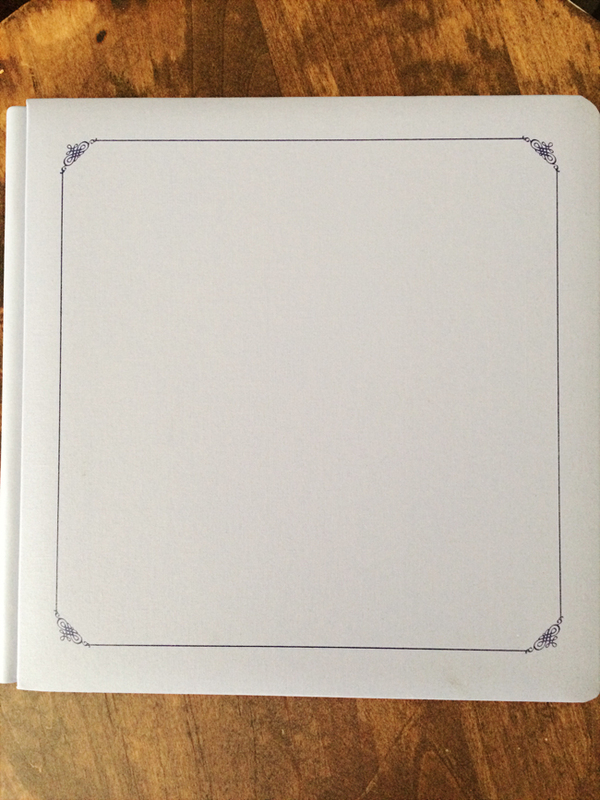 I decided to start a new album using a much more simplified version of the Project Life idea. Basically it's more photos and less art cards and embellishments. It's turned out well and it's fun to have a reason to print out my photos! 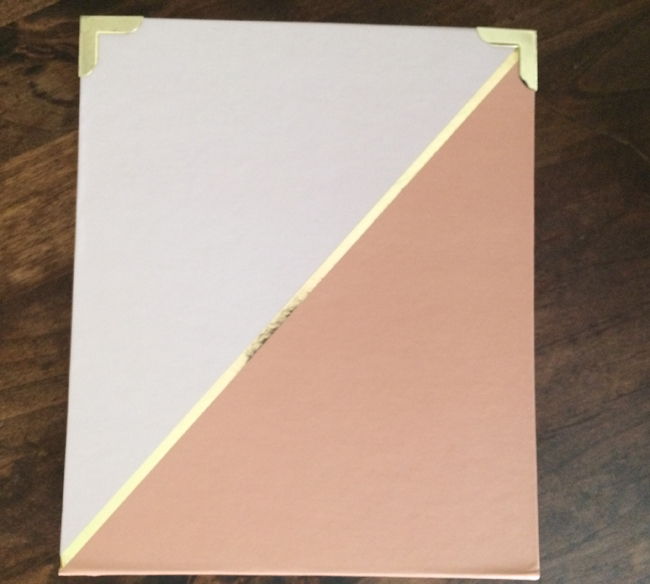 The pink and gold album is from Hobby Lobby. I am trying to do things that I don't feel like will be too much work to keep up with even after Baby Boy Bum gets here. I also really want to be aware of the old saying that first children get all the baby books and memories and subsequent children don't have as much. Obviously I do see why that is, but I also feel like that doesn't necessarily have to be the case if you're intentional about it. I already bought this baby journal for Baby Boy Bum and hope to be intentional about filling it out during his first year! I also plan on making a week-by-week scrapbook for Baby Boy's first three month like I did with R. But of course we will see. Those are just my thoughts at this point. How do you document life? 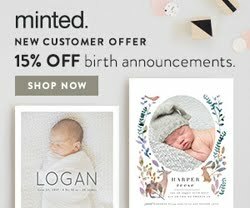 Do you like scrapbooking? Did you make a pregnancy journal? I'm interested to know! I love talking about crafting projects like this. If you can't tell, scrapbooking and just saving memories in general is something I really enjoy. 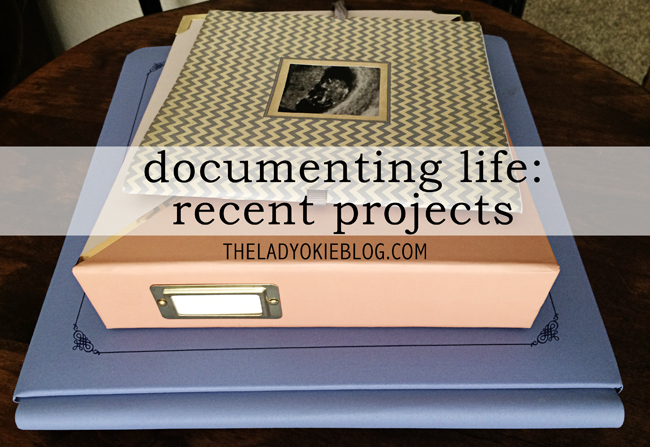 I hope that maybe I've given you some ideas about how you can start some easy projects to document your own life too. I love the Project Life kits. Love them so much that I own SO many - and they're still pretty in their boxes. I have several scrapbooks I've done over the years (some with PL, some just old school scrapbooking.) My kids each have baby books - my son's is partially filled out. I blogged for both of them - every week for their first years! I'm hoping to print out the weekly photos and transfer the blog posts into a scrapbook one day. With my son, I went to 41 weeks. 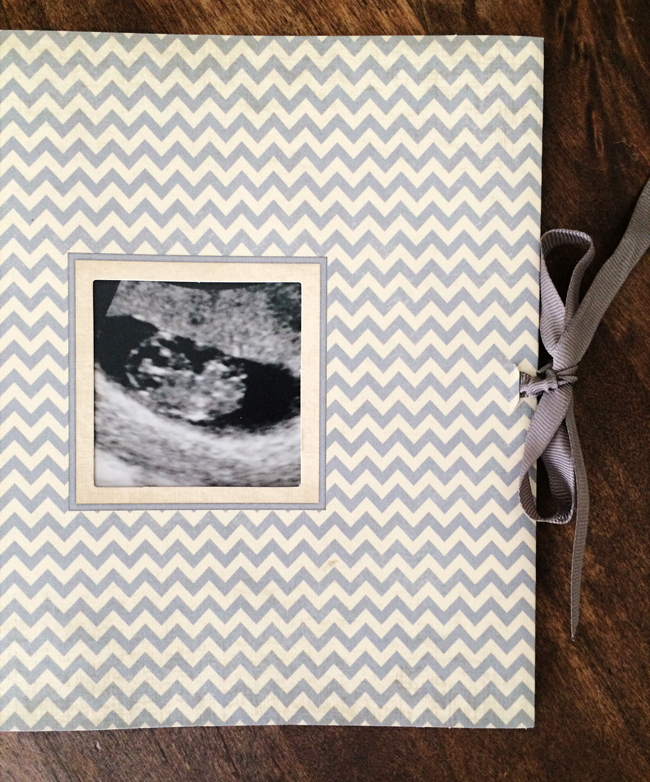 The two days before my induction, I transferred my weekly pregnancy updates into a scrapbook. (And when I came home from the hospital, I did a birth page for him.) I think that was the last scrapbook I actually completed. I love the photo books you can order online. Now those I've done several times! I usually buy a Groupon for Shutterfly and complete them for birthdays or make a book for grandparents. I wish I had your discipline when it comes to keeping up with all of life! I get so distracted, but always have the best of intentions! Your books look amazing, and it's so great to have those to look back on. Wow, I love all of your books! So creative and great mementos! Nice work. Oh, and for encouragement, my mom had six kids, and all of us have baby books and scrapbooks, so it IS possible! You are so much more motivated than I am. I'm terrible at taking pictures, I never take personal videos of anything, and we have basically zero photo albums. Maybe the baby will provide some needed information...I've thought about buying one of those small printers so I can print those miniature photos straight from my phone to put in her baby book, but we'll see. I'll probably just force myself to choose 5-10 photos and order actual prints once a month or something. I know I'll regret it someday if I don't, I'm just more of a live-in-the-moment person and I forget cameras exist! I don't know if it has a whole lot to do with motivation, honestly. I have always loved scrapbooking and photos and things, and making these is a creative release and really fun and calming for me. I like doing it! But if my house burns down, I'll be in trouble! Something like Chatbooks might be great for you.... you can just upload directly from your computer/phone and they print a book for you with the photos. I know people who really love it! I can't lie, I got a little teary-eyed reading this post! 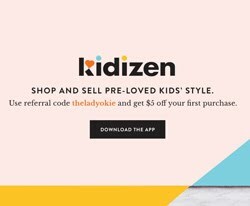 I love that you are doing this for your children. When Nick and I first started dating 10 years ago, I started making scrapbooks each year. I still do it each year, even though I am behind right now. I really am tempted to switch over to Project Life, but I like how each album has a similar style and are the same shape on our bookshelf. I am going to make Project Life for myself for when Nick goes on his deployment because I want to be able to look back on those 6 months fondly. For big trips, I make photo books on a website called Adorama. They have the best quality I think! I am trying to think of something creative to do for Nick for when he goes on his 6-month deployment. We can't mail packages to the submarine so everything has to go with them when they first leave. I want to do something with pictures because he loves pictures, it's the only thing he ever asks for, but I am stumped! These books are all amazing and such wonderful reminders for your kids! I need to start doing this. Thank you! It's a really fun, creative outlet for me! You are a great life documenter! I never liked those fill-in-the-blank books anyway, they can only ask things that are applicable to everyone and aren't tailored to your child. I theoretically scrapbook. My plan is to have a book for each child: I do the first year in detail, then just a 2-page spread of pictures for every year after that. I plan to give it to them as a HS graduation gift. I say "theoretically" because according to the books, my oldest is 5 (she's really 13), my second daughter is having her first birthday (she's 11), my third is a few months old (he's actually 9,) and the other three kids don't exist - although I do have a book bought for #4! I figure it's okay and I can catch up later - the first year is the time-consuming part, and I can always crank out a bunch of pages during their senior year and get it done. I seem to work best at the last minute, anyway. That's a lie. That's the only way I get things done. I did Project Life one year and loved how it turned out, but SO much work. 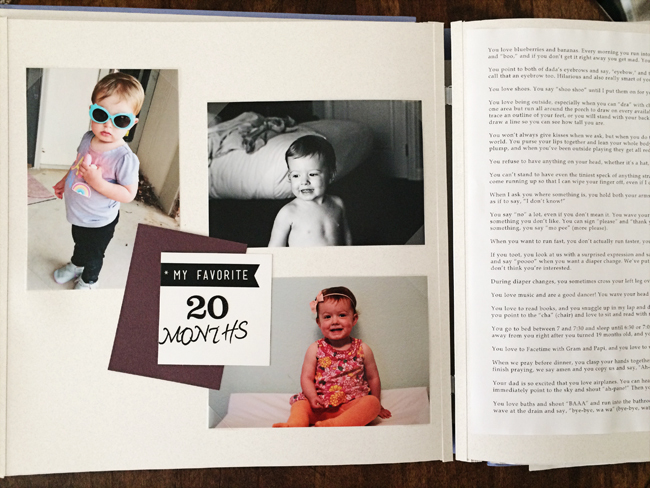 No kids yet but I do like to document our life still, and I make a Shutterfly book every year. I work on it throughout the year and print it out at the end. It's like a family yearbook. I also use the app One Second Everyday. Have you heard of that? You just upload a 1 or 1.5 second video clip every day, and it puts it all together into a long video. I LOVE that! Yes I have heard of the 1-second video. I think they are really cool, but to be totally honest with you, the quick succession of 1-second clips for minutes on end make me nauseous. Seriously! So it's not for me, but I think it's fun to watch shorter clips of ones people post! 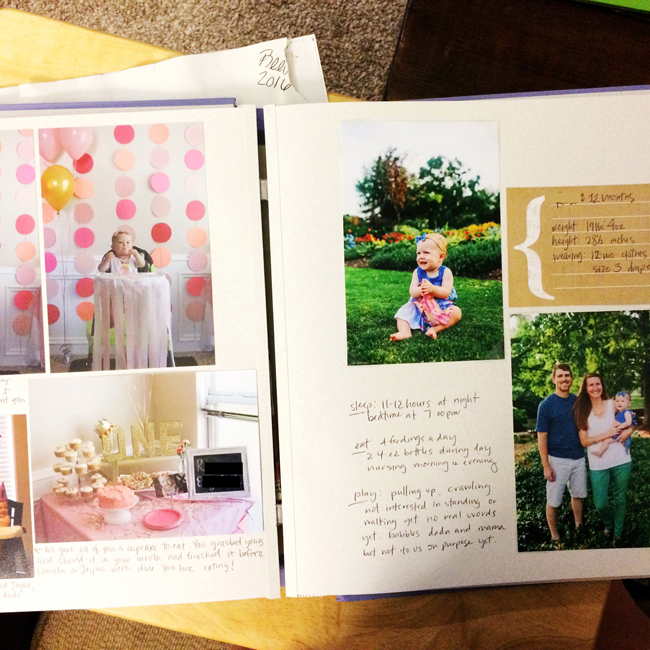 I love making Shutterfly books too! I did a few for full years (2013 and 2014, I think). I made spreads by month and wrote out what we did and I love them! Your books look so amazing!!! I promised myself that I would stay on top of organizing photos, making books, etc and I have done nothing and we are six months in. I really need to get on my game! Send me some of that mojo! I love the project life stuff, but I'm too realistic to even try right now. My goal is to make some photo books, and that will be impressive enough. I want to do one of mike and I pre-kids, and then probably one for each year after that. I love looking at your stuff. You're so good at keeping it simple and clean but meaningful! 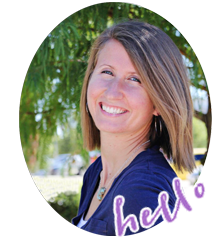 You are a rock star life documenter! Haha. I miss scrapbooking so much. 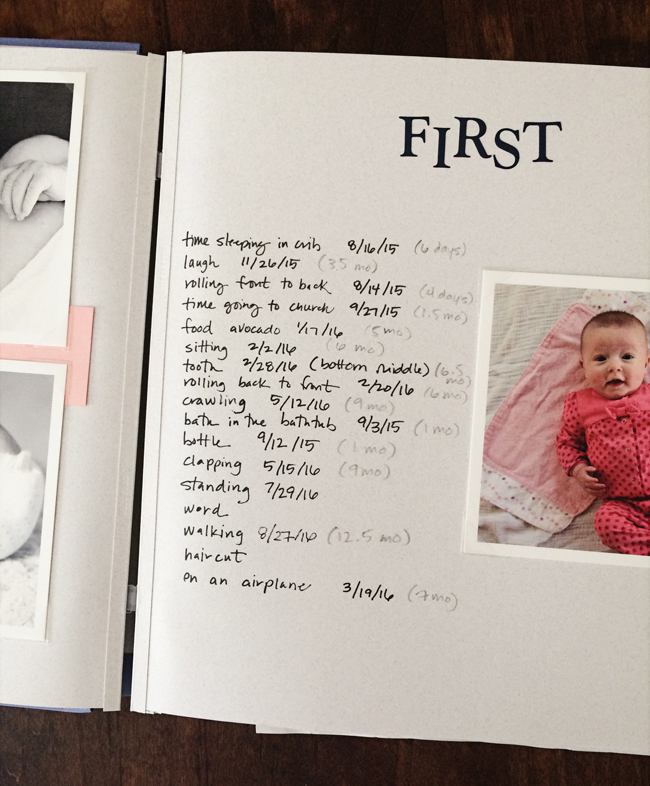 With both boys I'm using Lucy Darling's "A Simple Book of Firsts." 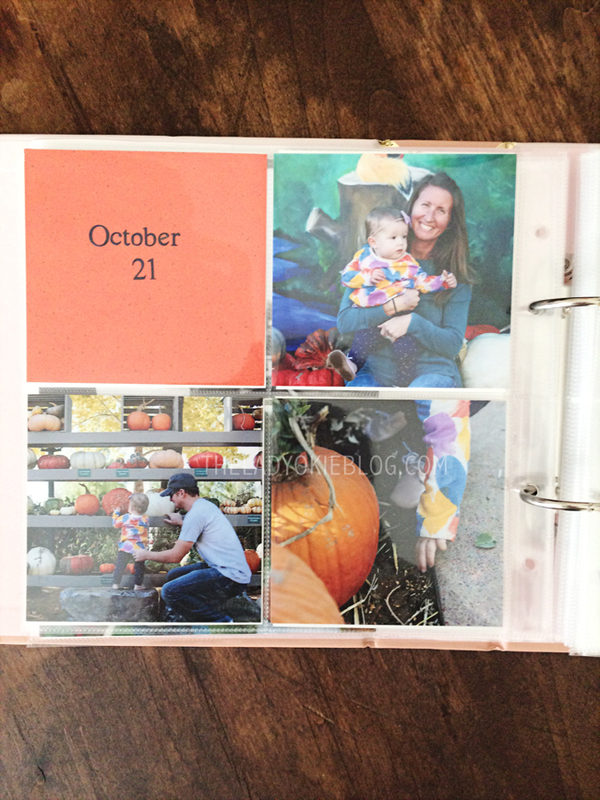 It is combination scrapbook/calendar of firsts and is so easy to keep up with plus it's simple and cute. I also managed to make a digital scrapbook with hospital pictures and our first few weeks at home. But I miss actual scrapbooking and need to look in to project life. I'm impressed with your books and love how simple yet adorable they look! You are really good at documenting life. I still love my PL book from Asia and I'm glad I made the time to do that. This year I am using my bullet journal as an album as well. I have left a few pages after each month and just need to add 1 or 2 pictures in from each month.